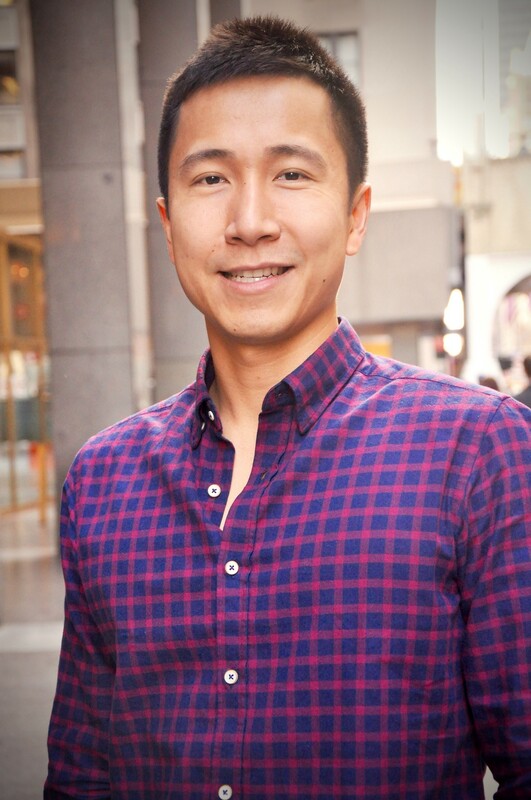 I had the pleasure of interviewing Jordan Wan, Founder/CEO of CloserIQ — a mission-driven recruitment firm using technology to help companies recruit top sales talent. Prior to CloserIQ, Jordan led Northeast sales at ZocDoc and began his career as a trading strategist at Bridgewater Associates, a global macro hedge fund with $150+ billion AUM. Jordan Wan is a CFA® charterholder, has guest lectured on entrepreneurship at Yale School of Management and routinely writes about startup sales on CloserIQ’s blog. Thanks for having me! I immigrated to Canada when I was 6 years old and lived in a different city every 3 years after that (as my parents moved around a lot). At an early age, I had to learn how to assimilate into new environments as I was constantly “the new kid” at school. In college, I studied computer science at MIT and fell in love with technology and its applications to industry. I was lucky to land a job at Bridgewater Associates right out of college back in 2007. I was able to see the creation and evolution of Ray’s Principles over the subsequent years. I had an amazing experience working there and saw first hand how culture could be a powerful differentiator even in an industry like investment management. My subsequent experience at ZocDoc was equally rewarding as I got to immerse myself into the world of startups and got a chance to help the company scale sales when it was going through a hyper growth period. I spent most of my weekdays all over the east coast with my sales team. At night, I spent hours conducting phone screens in my hotel room to hire sales reps for my open territories. That was where the original idea of CloserIQ came to me as I realized hiring was the highest leverage thing a manager can do to increase sales. Eventually, I started CloserIQ as I saw a chance to apply technology and systematization to the archaic world of recruitment. We’ve built a end-to-end sales focused recruitment solution that helps companies quickly scale revenue the right way. Over the past few years, we’ve served more than 300 of the most disruptive startups in the world including Oscar Insurance, Taboola, Trello and Justworks. The most interesting part of building CloserIQ was our humble beginnings (probably like most startups). In the first year of existence, we had to barter consulting hours for free office space at client’s offices. We had no funding so we did everything we could to save money and grow our user base. To save money, my co-founder and I shared one corporate Gmail account by routing it to our personal emails (that backfired later when I was invited to his “surprise” birthday). I signed up users at coffee shops and bars and would regularly pull out my laptop to get them to register for our site because it wasn’t mobile optimized. But the limited resources really forced us to prioritize and figure out our core business very quickly. In many ways, it’s hard to imagine our success today if it wasn’t for those challenges we had to overcome. In this era of low interest rates and availability of venture funding, we actually bootstrapped our company to profitability without outside investors. Growing slow allowed us to find our true north, ensure our solution scaled with growth, and be thoughtful about hiring and training. We’re working on a new project to help minorities and particularly, people of color gain access to startup sales jobs. It’s exciting for my cofounder and I who are both first generation immigrants to think about how we can fundamentally improve diversity in sales by leveraging our network. While we are still in early stages of curriculum development and research, we’ve already gotten amazing feedback from corporate partners who are excited to help us in our journey. We went through some growing pains and lost several great employees when our culture took a back seat to growth. But on a backpacking trip through the Peruvian mountains, I had time to finally see the big picture on growth vs. quality tradeoffs in a startup. I found that some of the most impactful decisions I made as a founder came to me while I took time away from the business. We hear a lot these days in media about the importance of managing workplace stress and taking vacations but it’s something I’ve come to realize is so vital for founders to prioritize. I also tell founders I mentor that they should find time to continue their personal growth through reading as many great books as possible about entrepreneurship and leadership. I’ve learned that scaling a business requires you to be extremely perceptive about what’s not working and then applying the right frameworks for improvement. A lot of this comes down to pattern recognition which books like High Output Management (by Andy Grove) does a great job of providing. So much of the vindication of an entrepreneur is getting that one “yes” after hearing a string of endless “no’s” and “maybe’s”. There are so many people who have helped me along the way including early customers who agreed to try out an imperfect product and friends who supported and encouraged me to keep going. But the person who had the most impact in the formative years of our business was my mom who passed away a few years after I started CloserIQ. I think the fuel for many entrepreneurs who immigrated to this country are the vivid memories of the sacrifices their parents had to make in order for them stand up in this country. My mom’s battle with cancer over three years put all the small challenges I was facing in business into perspective. I’m not sure that I could have grown the company as I had without her inspiration. We launched a passion project called Women In Sales (womeninsales.io) at the end of 2016 to help women in the sales profession advance their careers. It’s been incredibly rewarding to see the impact it’s already had with the inspiring quarterly events and career content we’ve created through the help of our CloserIQ network. We’ve received tremendous feedback from the community and are now working on expanding it nationally along with finding nonprofits to donate our resources. Improve employer branding and hiring. You’re more likely to attract a larger talent pool if your team culture is embracing of people with diverse backgrounds. We’ve seen first hand the difficulty some of our customers have hiring women and minorities for their sales team because they allowed the room to be filled with white, twenty-something males. As a result, we’ve been encouraging our customers think about D&I initiatives early and not wait until the demographics and behaviors are so skewed that it becomes hard to change. Develop empathy with a broader set of customers. A diverse team will allow your employees to communicate sales and customer facing teams will more likely to be able to relate and empathize with a broader set of customer demographics. In our business, we work with candidates of all backgrounds and often startups that are based all over the country and even rest of the world. Globalization has created a real need for us to hire not only employees who can speak different languages but also understand various cultural norms, religions, and beliefs. Increase employee happiness and engagement. We recently spoke with an D&I consultant who suggested simple ideas to build a more inclusive team like having team bonding events to try new cultural experiences and cuisines. He shared many anecdotes of corporations who were finding that not only were these initiatives promoting diversity and improving employee relations, they were also highly engaging and fostered a much more engaged employee base. “The Score Takes Care of Itself” by the late Bill Walsh who was the head coach of the San Francisco 49ers and took one of NFL’s worst teams to 5 super bowl championships in the 1980s. I think we as a society tend to overly focus on results in business and not enough on the process and journey getting there. Corporate profits and personal earnings are both lagging indicators of success. Reading his biography and adopting this life lesson was a big turning point for me and CloserIQ. I’d love to meet Gregg Popovich, head coach of San Antonio Spurs and one of the most successful coaches in the NBA. If you can’t tell already, I love sports — as a former D3 athlete, you kinda have to love the game! I’ve heard so many inspiring stories about Coach Pop’s leadership style and his ability to build a winning culture. I also respect him tremendously for his humanitarian work and even recently how he has supported Becky Hammon’s bid to become NBA’s first female head coach. I doubt it’s even about gender equality for him. He just believes she is the best person for the job which I think speaks volumes about him as a leader and someone who I would love to meet.